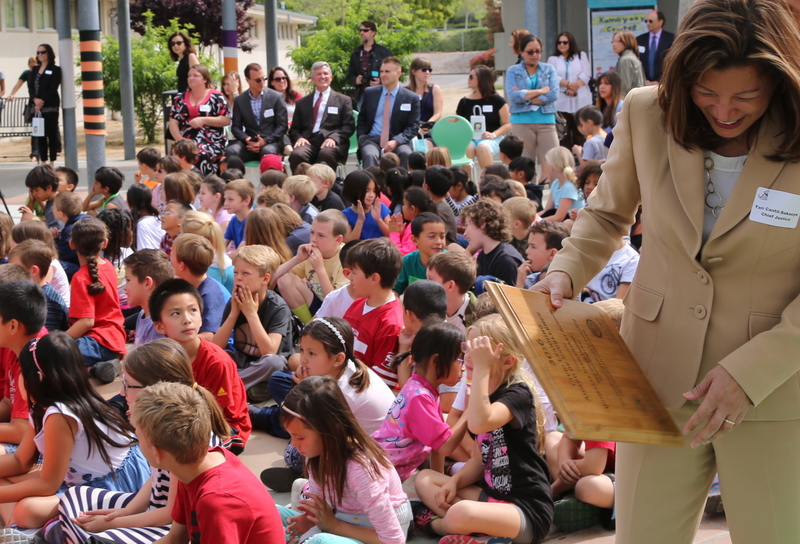 San Diego County: Hundreds of elementary school students, teachers, and parents gathered for the presentation of Kumeyaay Elementary School's first Civic Learning Award. The statewide awards program is now in its fourth year. 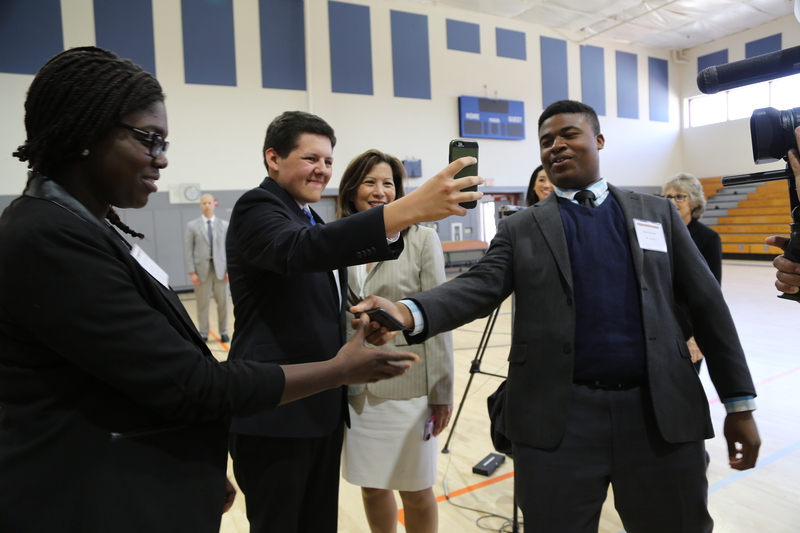 Los Angeles County: On April 5, 2016, Chief Justice Cantil-Sakauye presented the Award to Bellflower High School. Sacramento: Justices from the 3rd District Court of Appeal join the Chief Justice in presenting Natomas Pacific Pathways Preparatory the highest honor. Front, from right, Justice Ron Robie, Justice Vance Raye, and Justice Harry Hull. The Chief Justice (center). Sacramento: By the time they graduate, Natomas Pacific Pathways Preparatory Middle/High School students complete twice the number of social science courses mandated by the state. 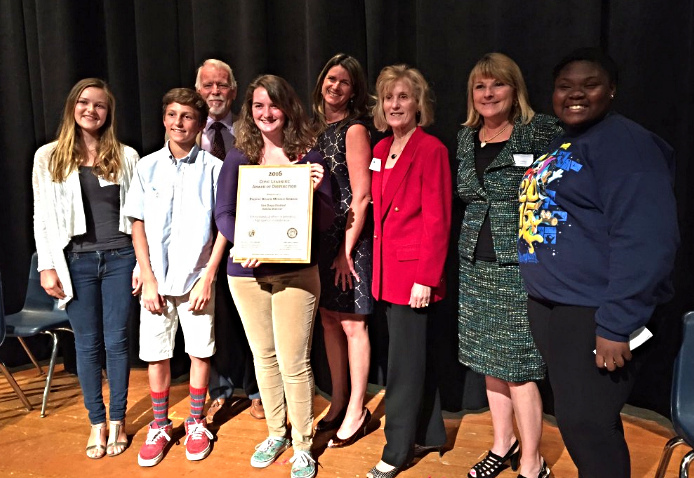 This is their first Award of Excellence – the top award - and thus their first meeting with Chief Justice Cantil-Sakauye. They received the Award of Distinction twice in previous years. 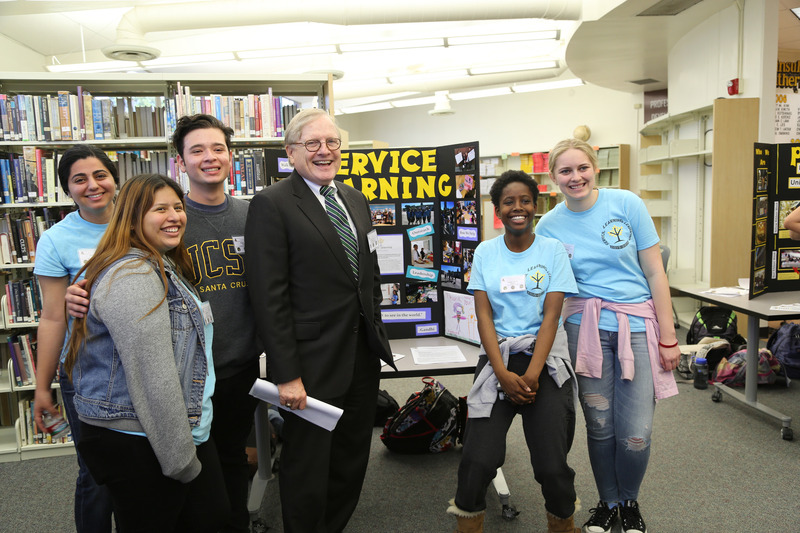 Los Angeles County: Justice Paul Turner, who presides over the 2nd District Court of Appeal, Division 5, takes time to meet with students at Palos Verdes Peninsula High School. San Diego County: Justice Judy McConnell chairs the Chief Justice's Power of Democracy Task Force to drive the civic learning effort statewide. 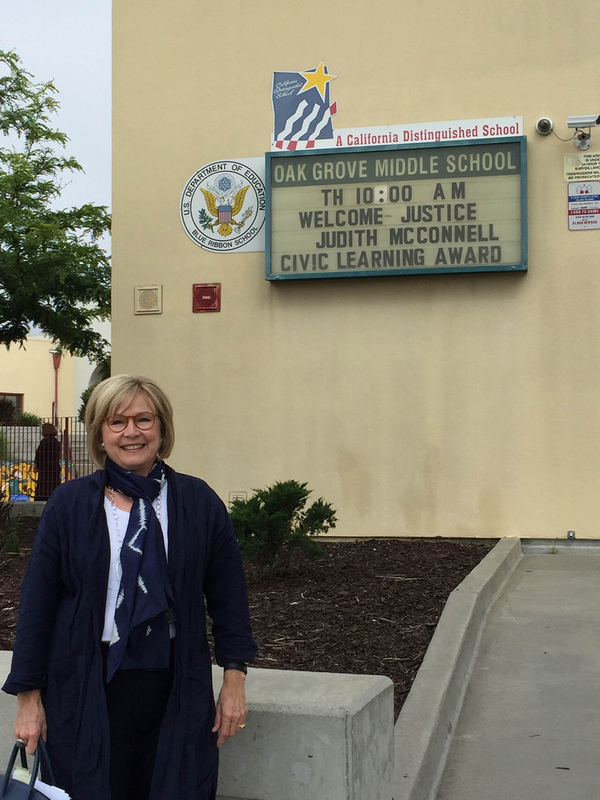 A tireless champion of civic education, Justice McConnell has visited several award-winning schools. 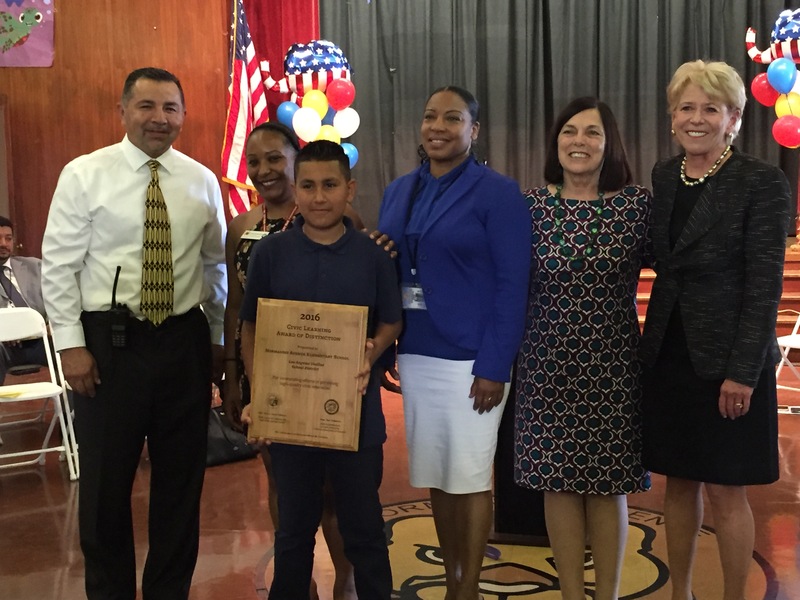 Los Angeles County: Presiding Justice Lee Smalley Edmon, 2nd District Court of Appeal, Division 3, visits Normandie Avenue Elementary to present their award. 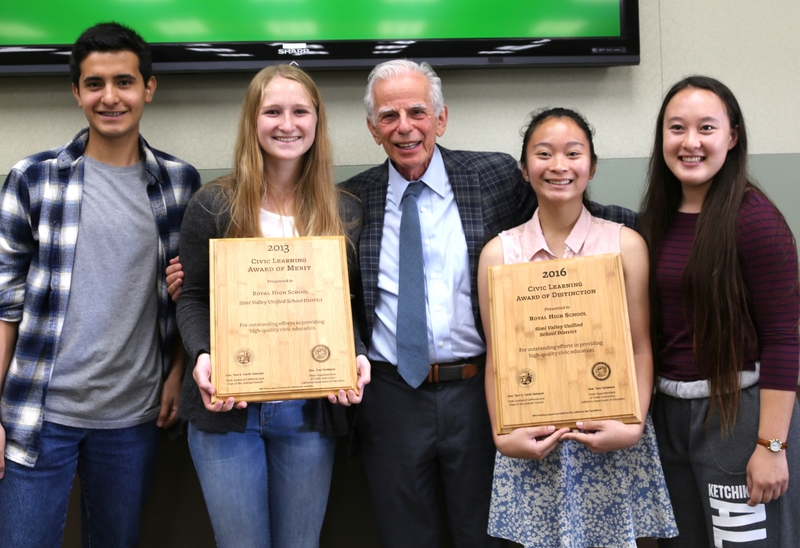 Ventura County: Presiding Justice Arthur Gilbert, 2nd District Court of Appeal, Division 6, joins students at Royal High School in celebrating their accomplishments. 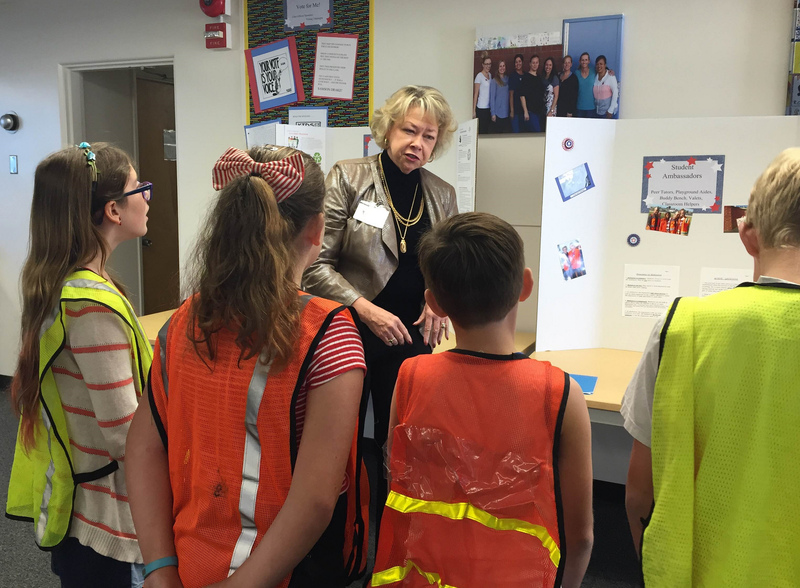 Orange County: Justice Kathleen O'Leary, who presides over the 4th District Court of Appeal, Division 3, spent a May morning with proud students of John H. Eader Elementary School. "Young people need to learn how important democracy is and how our democracy works," said Justice O'Leary. "When I looked at the students' projects and visited their classrooms today, I understood that a lot of students have this down." Viewing Tip: in the player above, select "i" to view captions. More photos are available on Flickr. 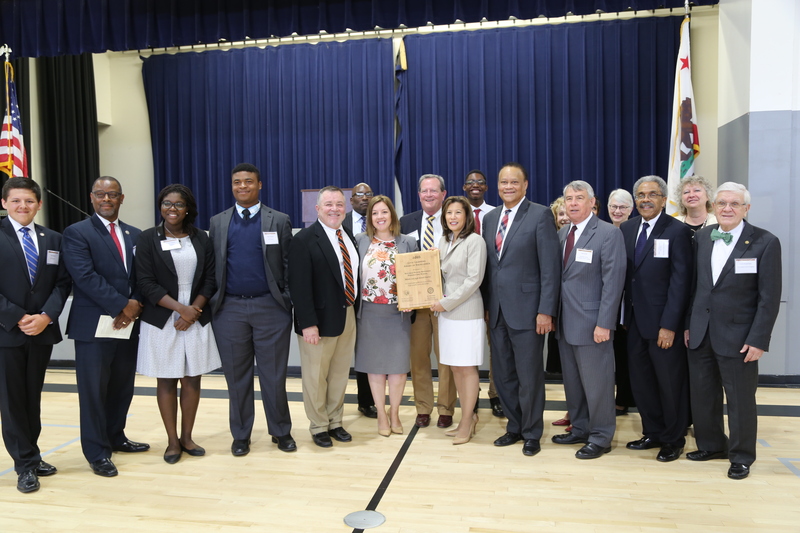 Chief Justice Tani G. Cantil-Sakauye and Court of Appeal presiding justices visited nine elementary, middle, and high schools this spring to present them with Civic Learning Awards. The personal participation of bench leaders at these lively events reflects their commitment to inspire future leaders and help educators prepare engaged civic participants of all ages. 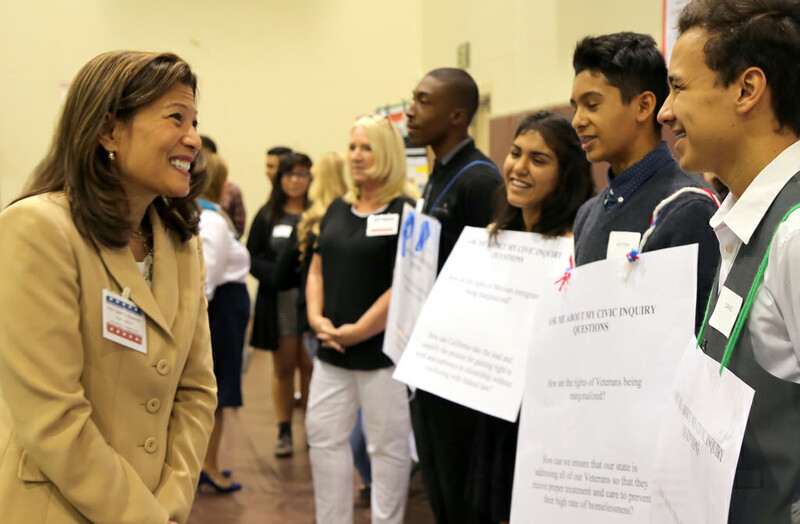 The Civic Learning Awards, now in their fourth year, are co-sponsored by Chief Justice Cantil-Sakauye and the State Superintendent of Public Instruction Tom Torlakson. The awards are generously supported by a grant from the California Bar Foundation.